Here at ClickPrinting.ie we know that the right impression is everything. Your clients and customers expect only the highest in products and services so make sure you compliment slips does what you want it to. They’re an ideal finishing touch to a business communicating with there clients, customers or suppliers. Don’t let an opportunity pass in instilling the professionalism of you business. 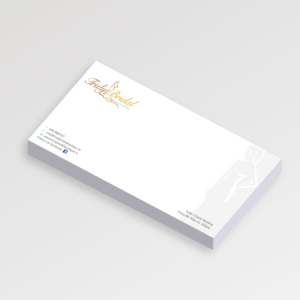 Our compliment slips are produced on 120gsm laser bond smooth white paper, offering a true professional feel ad look.